The 167 stained glass windows of Chartres Cathedral, built 1190-1220 CE, are the most complete group surviving anywhere from the Middle Ages. Several windows date to the mid-12th century CE while over 150 survive from the early 13th century CE. There are religious scenes to tell the faithful the key stories of the Bible as well as countless depictions of saints, kings, queens, nobles, knights, and priests. The city’s merchants donated 42 windows to the cathedral, and they crop up in many smaller scenes showing the full range of medieval professions from barrel-makers to butchers. The technique of staining glass for windows using metal oxides dates back to at least the 7th century CE and the churches of the Byzantine Empire. However, the craft really became a refined art in the 12th and 13th centuries CE. The five main colours used to 'stain' glass were bright ruby red, which came from copper oxide, sapphire blue from cobalt oxide, green from iron oxide, yellow from sulphur or soot, and purple from manganese oxide. 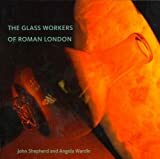 These materials were added to the glass while it was being heated, but because the result proved too opaque to allow much light through, often a thin layer of coloured glass was laid on top of a thicker pane of transparent or white glass. Painted on the interior side of the glass, details of scenes were rendered using a mixture of glass fillings, metal oxides, and vinegar or urine. The paint was then permanently fused onto the glass by putting the pieces into a kiln. A single window at Chartres may include over 50 individual panels of stained glass. Individual pieces of stained and painted glass were specially cut according to a design chalked out beforehand on a wooden board and then inserted into lead borders to make a single composite panel. The finished panel was then mounted into the metal armature of the window frame using dowels and metal strips. A single tall lancet window at Chartres may include over 50 such panels of all shapes and sizes. Not only decorative, the windows were also intended as a pictorial guide to the Gospel message in an era when few could read. Consequently, the wages of sin, the benefits of salvation, and the lives of the most important saints and biblical figures are shown as a lesson to all. Most windows, when they tell a narrative such as the life of an apostle or Bible parable, should be read from left to right starting at the base. Four-leafed rosette or quatrefoil panels are read by looking first at the bottom leaf, then the left, centre, and right leaf, and finally the top leaf. Following are descriptions of only some of the most important and striking windows in Chartres cathedral. This window, with a diameter of 10.15 metres, dates to c. 1231 CE and has the theme of the Old Testament prophecies being fulfilled with Mary as their instrument, hence the central panel depicts Jesus Christ as a child with Mary. This centrepiece is encircled by 12 elliptical panels showing four doves and eight angels. Then a circle of 12 diamond-shaped panels depict the 12 kings of Judah, Christ’s ancestors. The outer ring of semi-circular panels shows the 12 minor prophets. Between the squares and semi-circles are quatrefoil panels with fleurs-de-lis, the French royal coat of arms and reminding that the window was donated by Queen Blanche of Castille, the mother of King Louis IX (r. 1226-1270 CE) and his regent from 1226 to 1236 CE. The panels between the rose and lancet windows below repeat the fleur-de-lis theme and add the arms of Castille, a yellow castle on a red background. The lancet windows below the rose show Saint Anne in the centre and various kings mentioned in the Old Testament such as Saul (stabbing himself with his sword), David (playing the harp), and Solomon, as well as the traditional baddies of Nebuchadnezzar II, the idolater of Babylon, and the Egyptian Pharaoh who unwisely chased Moses through the Red Sea. This window, with a diameter of 10.56 metres, dates to c. 1224 CE and the central panel depicts Jesus Christ as the judge of the Apocalypse. Surrounding this panel are 12 elliptical panels, eight of which have an angel and the other four the symbols of the four evangelists. The next ring of circular panels and the outer ring of 12 semi-circular panels all show the 24 elders of Apocalypse, all holding various medieval musical instruments. The small quatrefoil panels show the blue and yellow arms of Dreux and Brittany, home of the window’s donators, Count Pierre Mauclerc and his wife Alix de Bretagne. The arms of Dreux and Brittany are repeated in the central window of the five lancets below the rose window. These lancet windows show Mary holding the infant Jesus in the centre and two Old Testament prophets either side, each with a New Testament evangelist on their shoulders (left to right: Jeremiah and Saint Luke, Isaiah and Saint Matthew, Ezekiel and Saint John, and Daniel and Saint Mark). The imagery perhaps reminds that the evangelists, having known Christ personally, could see rather better into the future than the older prophets. The West Rose window is the largest of the cathedral’s three rose windows, measuring 15.42 metres in diameter. It dates to c. 1215 CE and depicts scenes from the Last Judgement with Jesus Christ, represented as the judge of humanity, dominating the central panel. The position of the window was itself symbolic; set in the west-facing wall it catches the soft light of the setting sun at the end of the day, and so mimics the end of time subject of the window’s scenes. Radiating out from the central panel are three rings of circular panels. The first ring shows eight angels and four apocalyptic animals, each of which represents four of the apostles: a lion for Saint Mark, an ox for Saint Luke, an eagle for Saint John, and a winged man for Saint Matthew. The second ring of panels, linked to the first ring by elliptical forms, and numbering 12, shows pairs of apostles and the 12 tribes. The third and outer ring of circular panels, again numbering 12, shows the instruments of Christ’s passion, angels blowing trumpets to announce the Day of Judgement and resurrected bodies wearing shrouds who await the decision on their fate. Two panels reveal what happens to the unrepentant sinner with Saint Michael weighing good deeds against bad on his scales and pitchfork-wielding devils pushing people towards Hell, including one miser still with his money bag dangling from his neck. One of the oldest windows in the cathedral (or at least the central four panels of it are), is the Blue Virgin window, also known as the Notre Dame de la Belle Verrière window. This window, located under the West Rose, belongs to the version of the cathedral before the devastating fire of 1194 CE. The central panels show a seated Mary with baby Jesus on her lap, she sits on a throne, wears a crown and blue robe, and has a blue halo. The surrounding panels show six angels and date to the 13th century CE. The lower part of the window shows scenes from Jesus’ miracle of turning water into wine at the marriage feast of Cana and the three temptations of Christ. This window is one of three lancet windows set above the Royal Portal or West Porch of the cathedral. Dating to the mid-12th century CE, it has 27 main panels which alternate scenes set within a square or circle. The first (bottom) scenes show Christ’s birth and the coming of the Magi and shepherds. There are striking scenes of the Massacre of the Innocents ordered by King Herod and the fleeing of Mary, Joseph, and Jesus to Egypt. The cycle ends with Jesus entering Jerusalem on Palm Sunday. This lancet window is next to the Incarnation Window whose story it continues. It also dates to c. 1150 CE. The window boasts 14 circular scenes from the final moments of Jesus Christ’s life such as the washing of the disciples’ feet, the Last Supper, crucifixion, and Resurrection. The lower left panel with a mandala and shafts of light reveal an influence from Byzantine Art. Dating to c. 1210 CE, this window, located immediately on the left after entering the Royal Portal, has 42 panels which show scenes from the Noah story. Panels show animals arriving to be placed on the Ark, the Great Flood and the Ark itself, here represented with architectural features such as columns, capitals, and arches in keeping with its role as a symbol for the Church itself and its function as a saviour and place of refuge. In a further extension of the analogy, six panels show drowning people who represent lost souls on their way to Hell. One panel shows Noah and Saint Lubin, the 6th-century CE bishop of Chartres and patron saint of the local innkeepers and wine merchants who were amongst the window’s donators, along with the city’s carpenters, coopers and wheelwrights. The five lowest panels show scenes of these craftsmen at work. With scenes from the parable of the Good Samaritan, this window, located on the right after entering the Royal Portal, has 24 narrative panels, 10 purely decorative ones, and 29 border panels. Thieves are shown attacking a lone traveller, representative of humanity’s fall from grace and, just as Adam and Eve must leave Paradise (one panel is dedicated to the pair), so too the traveller leaves Jerusalem and immediately he must face the challenges of the world and sin (the robbers). The Good Samaritan who comes to the rescue represents Jesus, who takes the man to an inn and promises to return to pay the bill, a reference to the Second Coming on Judgement Day. The Zodiac window, located just after the South Porch towards the vestry, has agricultural scenes and 12 signs of the Zodiac to represent Time, each labour being associated with the typical period of the year in which it was performed, for example, Virgo (August-September) is next to wine pressing. January is represented with three heads, symbolic of the month spanning the past year, the present and the new year. The top panel shows Jesus Christ between the Greek letters alpha and omega, the first and last of that alphabet and representing his role as the creator and last judge of humanity. The window was donated by Count Thibault VI of Champagne on the request of Thomas, Count of Perche. The latter was killed at the Battle of Lincoln in 1217 CE, so we know the window must have been made before that time. Showing scenes from the life of Charlemagne, Holy Roman Emperor (r. 800-814 CE), this window, located on the left side of the vestry between the apsidal chapels, was donated by the furriers of Chartres who appear in the lower left panel. There are several battle scenes with knights in armour and one showing the emperor jousting. The enemy is the infidels of Moorish Spain, who have round shields as opposed to the kite-shaped ones of the western knights. Archer, M. Stained Glass. (Pitkin, 2009). Miller, M. Chartres - Guide of the Cathedral. (HOUVET, 2018). Miller, M. Chartres Cathedral and the Old Town - English by Malcolm Miller. (Pitkin Guides, 2016). Miller, M. Chartres Cathedral Stained Glass - English. (Pitkin Publishing, 2009). Cartwright, Mark. "The Stained Glass Windows of Chartres Cathedral." Ancient History Encyclopedia. Last modified October 16, 2018. https://www.ancient.eu/article/1277/. Cartwright, Mark. "The Stained Glass Windows of Chartres Cathedral." Ancient History Encyclopedia. Ancient History Encyclopedia, 16 Oct 2018. Web. 20 Apr 2019. Submitted by Mark Cartwright, published on 16 October 2018 under the following license: Creative Commons: Attribution-NonCommercial-ShareAlike. This license lets others remix, tweak, and build upon this content non-commercially, as long as they credit the author and license their new creations under the identical terms. Please note that content linked from this page may have different licensing terms.